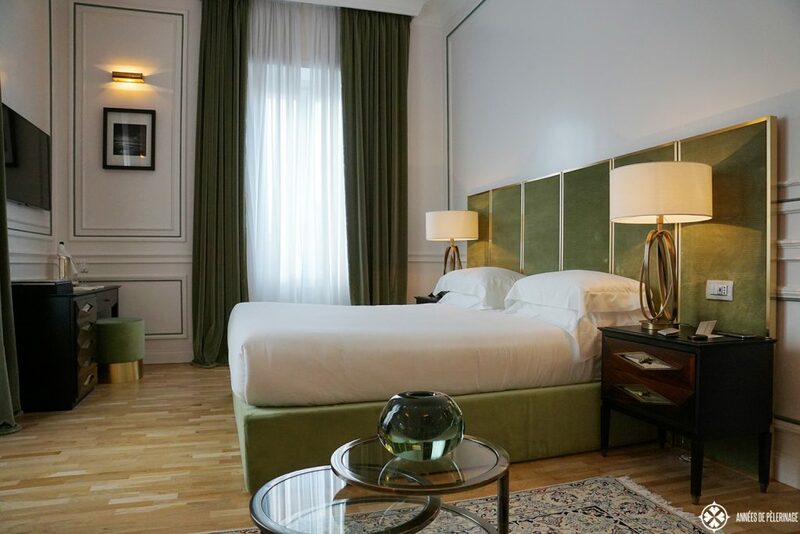 Finding a good hotel in Rome is far from easy – luxury or budget. You’d think with a city that ancient there would be thousands of good options. 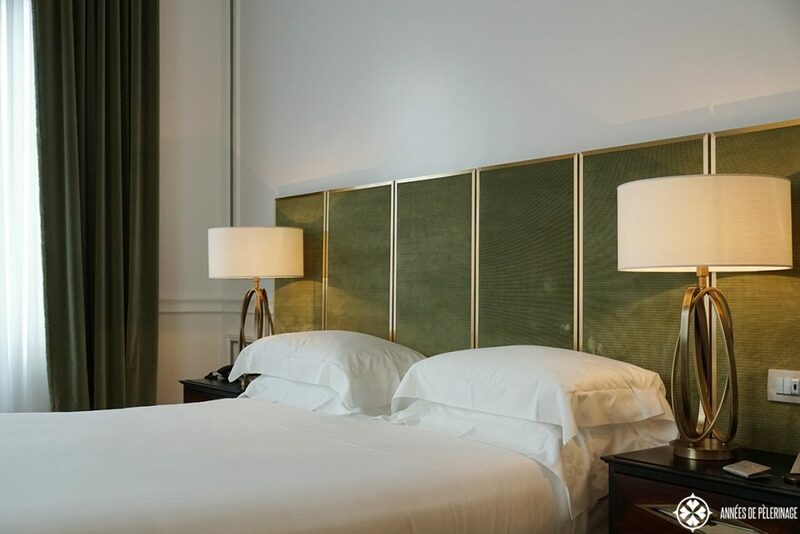 It remains a sad fact that luxury hotels are absolutely scarce in the eternal city. When I decided to return to the eternal city this March, I was, once again, confronted with the hard decision where to stay. All the major international luxury chains I came to love so much, don’t run a property in Rome. So I was more than glad when I found out, that a new design hotel just opened up. The magnificent Palazzo Dama, which opened in December 2016 in an old Roman aristocratic palace. Note: I get commissions for purchases made through links in this post. I had no association with Palazzo Dama whatsoever when writing this review. My opinions are my own, as was the money that paid for my stays. Okay guys, but before I write another word about this hotel, I have to admit that I am biased. When it comes to interior design, I value contemporary style over tradition any time. 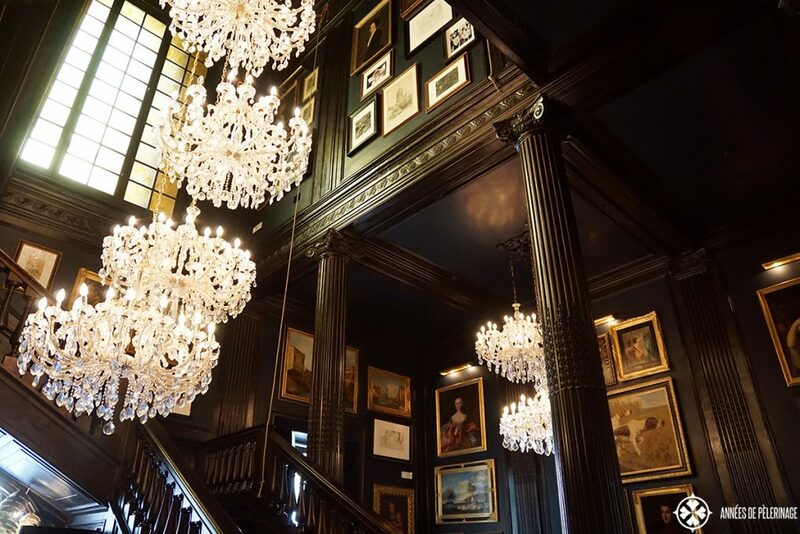 The only thing I value even more than contemporary interior design is priceless art. Which is exactly the reason I think the Tawaraya Ryokan in Kyoto is arguably the best hotel in the world. That being said, it probably won’t surprise you that I absolutely loved the Palazzo Dama luxury hotel in Rome. The hotel screams perfect design from a mile away. In fact, I’d go as far as saying for an interior design freak it is the only option in Rome. When it comes to hotels in Rome, location is probably the most important aspect. I hate it when you have to rely on public transport to get anywhere. It’s just not the same when you can’t simply go out for a relaxing night walk whenever you want. Being stuck in a traffic jam or searching in vain for a bus that will never come aren’t exactly my favorite ways to spend my time in Rome. The Palazzo Dama is located right next to the Piazza del Popolo. The Villa Borghese and the Spanish stairs are within easy walking distance, and so is the Castel Sant’Agenlo. I really can’t stress how important this is. Rome’s subway is a nightmare for a tourist. Hardly any of the highlights you want to see got a subway connection (the Colosseo being the only exception). 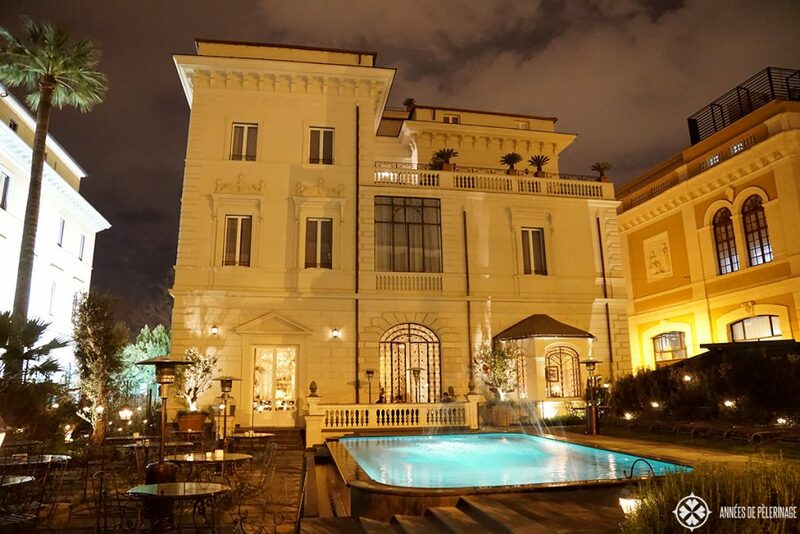 This is why most luxury hotels in Rome are extremely central. 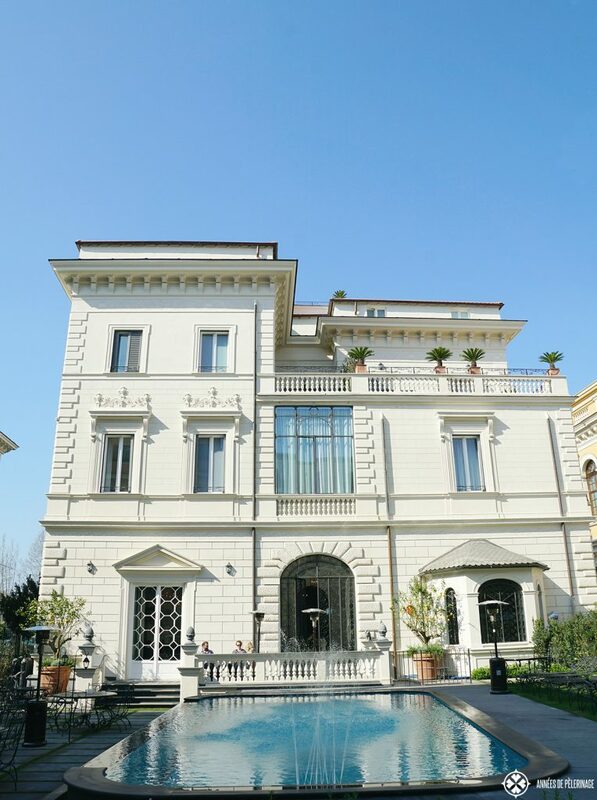 The Palazzo Dama, sitting right on the banks of the Tiber River, has been once the family home of the Malaspina family. It was, in its heydays, the setting for uncounted high society events. Much of that ancient glamour remains but has been translated into our modern times. Sitting in the entrance area you feel like visiting one a movie star or some equivalent. 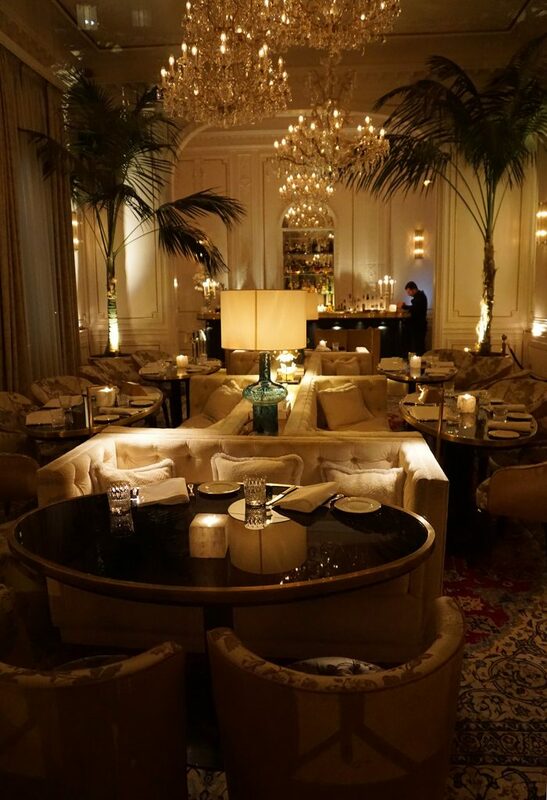 There is also a richly decorated restaurant – reminiscent of the fin de siècle in Paris. You will not regret eating your breakfast (which happens to be included) here, or staying for a late dinner. I found the design to be very tasteful, but not pretentious or tawdry. The same applied for the food, which was excellent, but not outstanding. The only part that seemingly didn’t fit in was the bar. 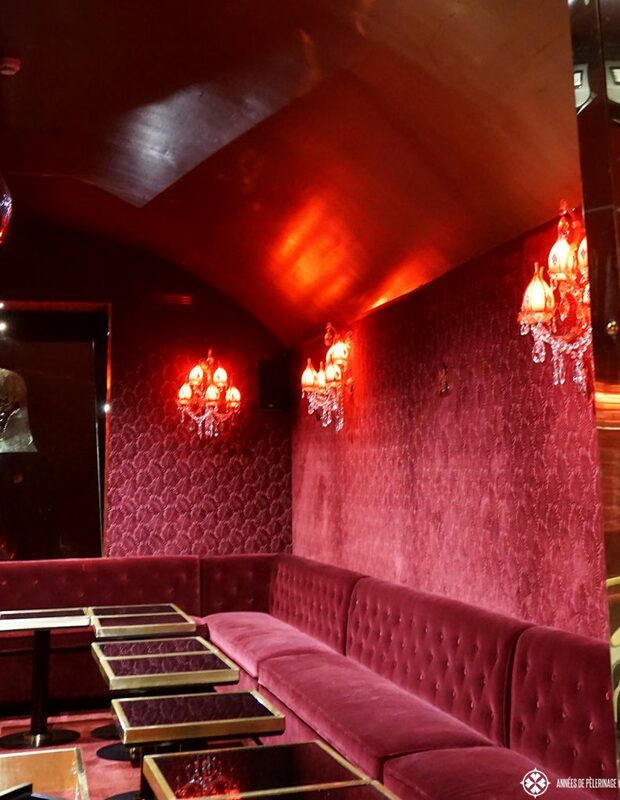 Located in the old staircase, it looked a bit like a pub. 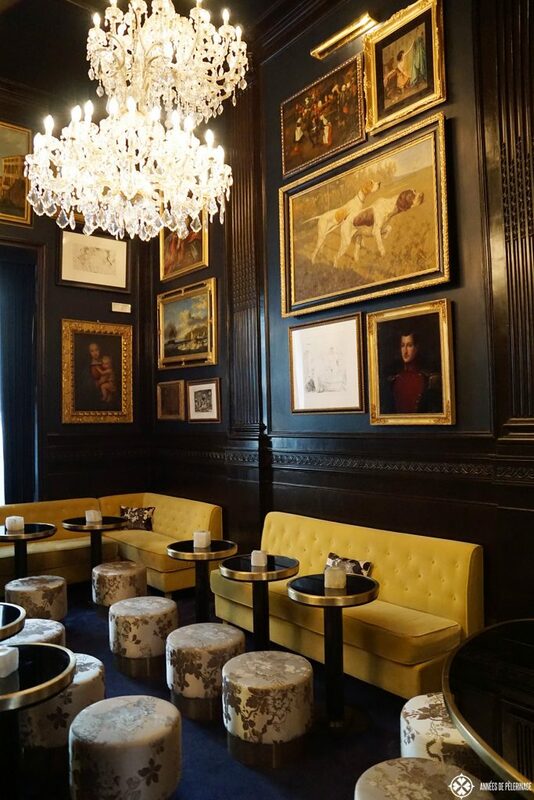 Well, a very, very stylish pub that is. But then again this contrast really helps the Palazzo Dama attaining a sort of inhabited charm. Like there have been people going in and out for centuries, which probably is not so far off the mark. Rome is not exactly known for big hotel rooms. The Palazzo Dama is certainly an exception. My junior Suite was 25m² big, at least according to the official description. As not a single room in the entire hotel looks the same, I’d wager that my suite was actually more like 30m² big. Not that I’d complain. In fact, they gave me an upgrade. I actually just booked a normal standard room for my 4 days stay. 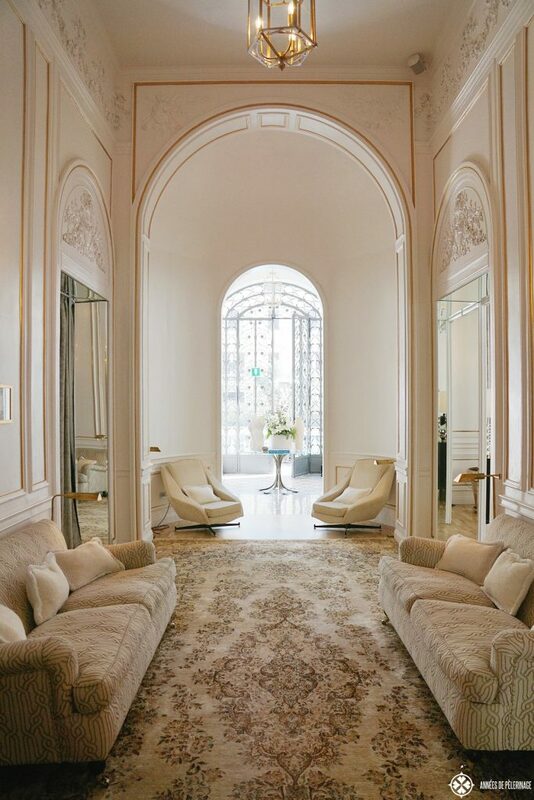 All rooms of the Palazzo Dama are equally well appointed. Simple lines, well-toned shades caress the high ceilings. Sleeping here you won’t feel like a Disney princess, but more like at the house of an editor of an art magazine. For reference: I stayed at one of their junior suites. Some of them have a shower, while others have a bathtub. Being more the shower guy (on vacations), I was quite glad for that option. Still, I’d assume that many luxury travelers would expect both options. 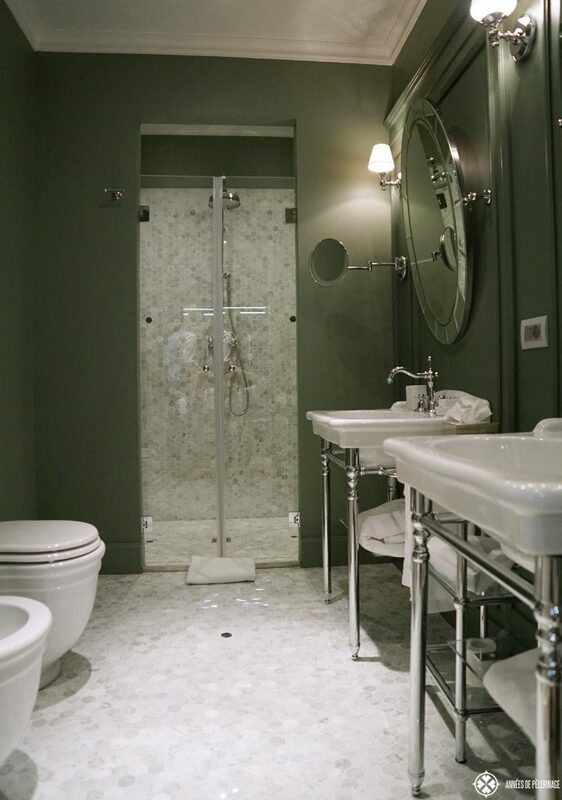 The bathroom certainly would have been big enough. There is also a wonderful royal suite that happens to have its own rooftop terrace. 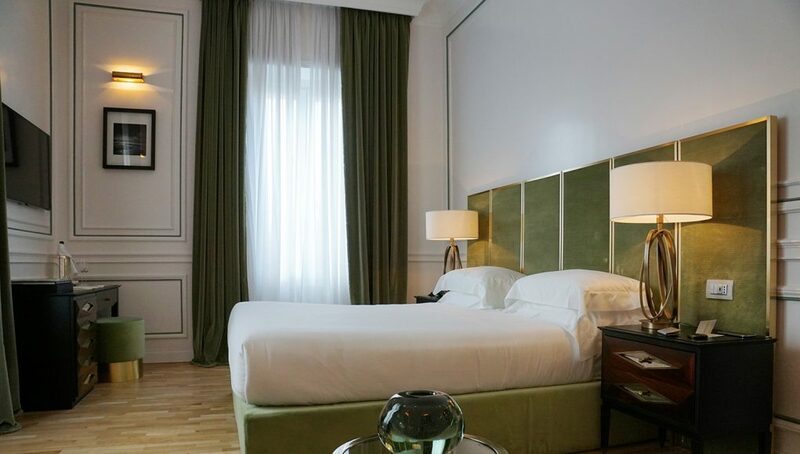 So if you want to make your stay in Rome extra special, the Palazzo Dama will certainly make things possible. Small as the hotel is, there is still a pool and a garden. For Roman standards that goes beyond luxury. Virtually none of the other hotels in Rome (save for the Waldorf Astoria which is located on the outskirts) has a pool. I did not have the chance to take a dive, as the temperatures in March are still a bit cold. For the summer months, this will be a true treasure, given how blazingly hot Rome can be. I’d be hard pressed criticizing anything about the Palazzo Dama. Since I stayed in March (the hotel was only open for 3 months then), there were still a couple of small mishaps. For example, the wifi didn’t work on the first day. The roof-top terrace was not accessible either and the club (which is located in the basement) only just opened. There was also an..uh..let’s just call it issue… with my credit card. But then again, I only paid like 800 US-Dollar for 4 nights in a luxury hotel suite – breakfast included. So realistically speaking, there really is not that much room for complains. Also, I am fairly positive that everything is running up the usual standards by now. As always I booked my stay via booking.com and really have to stress how good the deal was. You’ll find more pictures (but maybe less authentic) and the actual prices for your stay there. Here is the link. All in all, I loved the location, I absolutely loved the design, the staff was super friendly and helpful, the breakfast amazing and the rooms quiet and large. I can really recommend it from my heart. Having stayed at a couple of other properties in Rome, I can truly say that this is, for now, Rome’s best luxury hotel. 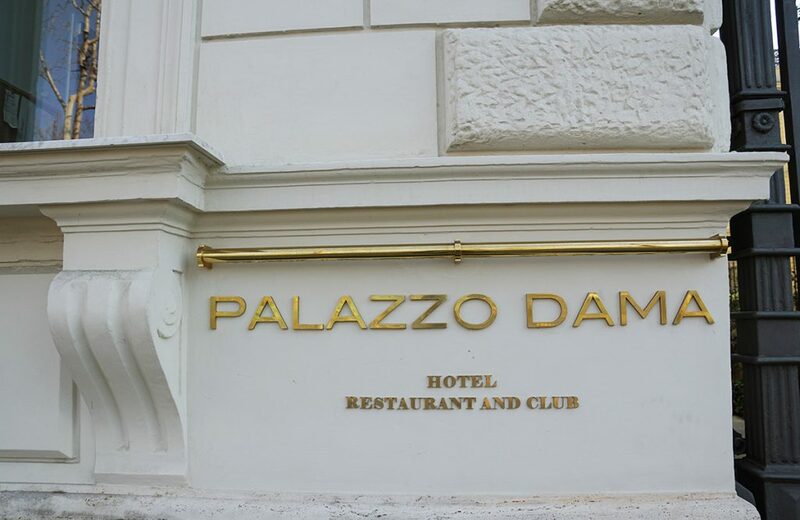 Disclaimer: I had no association with the Palazzo Dama whatsoever when writing this review. My opinions are my own, and so was the money that paid for my stay.